Choose from 4 digital options. 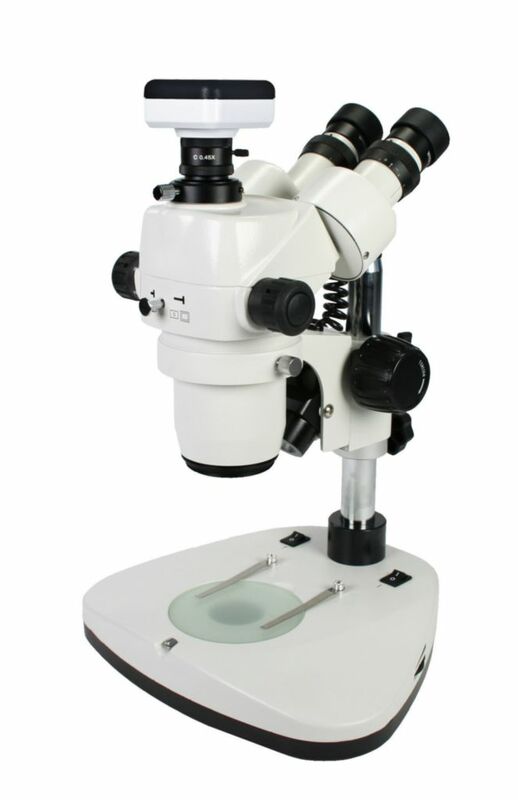 Now with 4 digital options, the DC425 Series offers the convenience and versatility of viewing a large picture at 10× magnification, then zooming continuously all the way to close-up detail at 40× magnification. Upright, unreversed 3-dimensional image remains in focus throughout zoom range. Optional eyepieces and auxiliary objectives expand magnification range and working distances. Trinocular port accepts video or SLR adapters (included).